Once logged, please go to Components → Sales Analytics. The database records are filled with more than 400 orders over an 8 month period so you can try all the features. 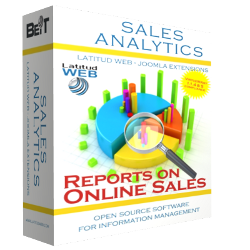 And we invite you to do so: explore all the 286 report types available, browse through the dates using the 4 different time frames (days, weeks, months and years), check the best customers and the top-seller products, and much more. Enjoy!